Portugal and the Netherlands meet in a friendly in Geneva tomorrow. Both countries have a rich history of producing flair footballers and aesthetically pleasing football and have played out some wonderfully entertaining matches when facing each other over the years. 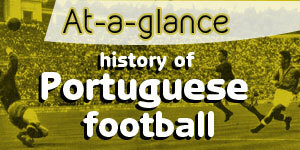 However, the only time the two nations met at a World Cup it resulted in a remarkable spectacle that has gone down in history for reasons completely at odds with the aforementioned tradition of beautiful Portuguese and Dutch football. 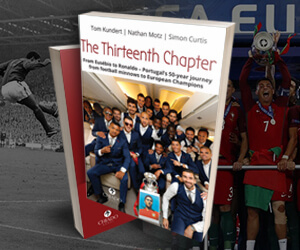 In an extract from the recently launched book The Thirteenth Chapter – From Eusébio to Ronaldo – Portugal’s 50-year journey from football minnows to European Champions, Nathan Motz recounts the infamous encounter in Nuremburg in the 2006 World Cup. As the two teams known for their attacking prowess prepared to face off, football fans around the world sat back in expectation of a feast of offensive football at the Frankenstadion in Nuremburg. What transpired instead was something altogether different. Scolari freshened up the starting line-up, bringing in Pauleta, Costinha and Nuno Valente for Postiga, Tiago, and Marco Caneira respectively, as the Portuguese prepared to take on a team with a trident of attacking 22-year-olds of uncommon talent in Wesley Sneijder, Robin van Persie, and Arjen Robben. It was the Dutch who were first to threaten, Van Bommel shooting narrowly wide in the opening exchanges, before the incident took place that would set the tone for everything that followed. But that was only the beginning. Search for “Portugal Netherlands 2006 World Cup” on YouTube and you will be presented with endless compilations of fouls and images of the Russian referee Valentin Ivanov admonishing players with card after card in a vain attempt to control the unfolding carnage and revert the course of events to something resembling a football match. As both sides attacked each other with reckless abandon, the footballing value of the match was obscured by the spectacle of bodies flying through the air, the persistent threat of a full-out brawl, unashamed play-acting, and uncouth gestures. With Ronaldo still gallantly trying to play through the pain, Portugal took the lead midway through the first half with a delightful goal. Deco crossed from the right, Pauleta stabbed a short pass into the path of Maniche, who danced past two Dutch defenders before uncorking a ferocious drive into the top left-hand corner of van der Sar’s net, leaving the Manchester United goalkeeper grasping at air. As half time approached, van Persie produced a wonderful twisting and turning movement every bit as impressive as Maniche’s shimmy, leaving two Portugal defenders on the turf only to slice his finish just wide. Back came Portugal to nearly double their lead moments before the break as Pauleta’s turn and close-range shot was brilliantly saved on the goal-line by van der Sar’s outstretched foot. Before the break Costinha become the first player to see red, picking up a yellow card for a deliberate handball, which Scolari reacted to by removing his lone striker Pauleta, and instructing Figo and Simão to take turns as the most advanced Portuguese player. A man up, the Netherlands began to pour forward, Phillip Cocu smashing an effort onto the underside of the bar in the 49th minute, but Portugal did not abdicate attacking as the game became stretched end-to-end. A tremendous run and shot by Miguel brought a sharp save out of van der Sar and on the hour mark a Simão free kick whistled inches over the bar. In between Ricardo dived full stretch to turn away a powerful van Brommel 25-yarder. When Boulahrouz was shown a second yellow and subsequent red card – one hour overdue – the Dutch defender would not go quietly, confronting Simão along the touch-line, which provoked the entire Portuguese bench to intervene. Strangely, no cards were administered as a result of the ensuing melee. Perhaps the referee had run out of space in his notebook. Parity in the playing numbers lasted only for ten minutes. An incandescent Deco was shown a yellow card for scything down John Heitinga after the Dutch had refused to hand back possession to Portugal when play had been interrupted because of an injury to Ricardo Carvalho. Soon afterwards Deco was harshly shown a second yellow card as he hindered Phillip Cocu’s vigorous attempts to wrench the ball from his hands to take a Netherlands free kick. Ten against eleven had become nine against ten for the Seleção. Ricardo came to Portugal’s rescue in the 80th minute, rushing from his line bravely to smother Dirk Kuyt’s effort with the striker clean through on goal. That was as close as the Oranje came to forcing extra time as Portugal held out in relative comfort. Inevitably, it was the referee who would be involved in the last meaningful incident of an infamous game, sending off van Bronckhorst in the dying seconds. 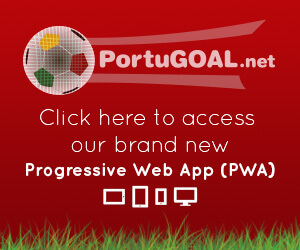 Portugal had been subjected to a unique test of their World Cup credentials. A FIFA record 16 yellow cards and 4 red cards later, as 18 of the original 22 players left the scarred pitch of Nuremberg behind them, the scoreboard lit up 1-0 in favour of Portugal. If you enjoyed that there is far more of the same over the 400 pages of The Thirteenth Chapter. To pre-order the 400-page book at a discount click here. Possibly the best example of lack of refereeing on the world stage (with all due respect to World Cup Korea which was a farce). Portugal won the Euro and the Dutch cant qualify for a major tournament any longer so TOMA! It was actually a great game to watch, maybe not for the beauty, but for the drama. Looking back, man, I loved this Portugal team. So many amazing players. Costinha, an underrated DM, who was for my money, one of the best ever at Porto in that position. Maniche, arguably one of the best position 8's to put on a Portugal jersey. Deco, to this day, possibly the greatest #10 playmaker for the Seleccao. Meira and Nuno Valente, two more underrated defenders who were solid. Ricardo Carvalho, who is to me, the best ever CB of the Premier League era. Figo, a legend. A young Ronaldo, Pauleta, the original PSG superstar. Possibly one of the most entertaining sides to play at a major tournament. People always talk about the "Golden Generation", but the Euro 2004 and WC 2006 team was top shelf talent.